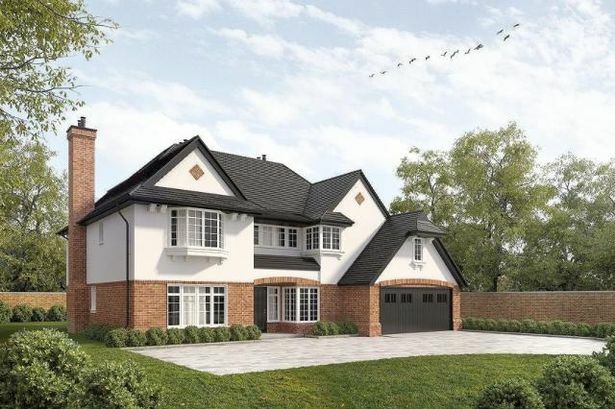 There are now just three properties left at a luxury development of spacious, detached properties in Solihull. Located in the sought-after location of Alderbrook Road, each home has its own distinctive style, combined with the ongoing quality provided by Romford Homes. The development originally offered seven large family homes, but has just these three remaining. Ranging from 3,700 sq ft to 4,500 sq ft they provide only the highest level of specification within this flagship development. Romford’s bespoke design team are on standby to work with its clients on these magnificent properties to ensure each one offers its own unique custom finish and build. The main features at Alderbrook Road include: individual designs with Arts & Crafts influence; oak staircases and doors; underfloor heating to all ground floors; private gated access; Villeroy & Boch bathrooms and sanitaryware throughout; bespoke German manufactured kitchens with Miele appliances; and audio preparation to all rooms. Aspen House is one of the properties available, costing £1.4million and beautifully finished throughout. It has five bedrooms and five bathrooms. Alderley House, at £1.6million, is built with hand-made bricks and a coloured lime mortar. It offers seven bedrooms, with five bathrooms featuring Villeroy & Boch baths and sanitaryware. Linden House is priced at £1.5million. This property offers seven bedrooms, six bathrooms, three reception rooms and a large double garage. Other features include underfloor heating, an automated lighting system, ADT alarms and audio electrics throughout. For further information, contact Romford Homes on 0121 228 8000.